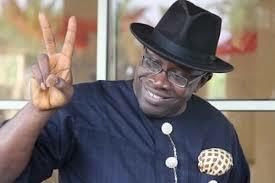 The Bayelsa State Governor, Henry Dickson, was at the weekend honoured as the Vanguard Governor of the year. The recognition was reportedly for the governor’s selfless service, contribution to the political stability of the country, the enthronement of transparency and accountability in the state, good governance, purposeful leadership and infrastructural development of Bayelsa State. The award held at the Eko Hotel and Suites, Victoria Island, Lagos. Mr Dickson who was accompanied by Governors Ayo Fayose of Ekiti State; Ibrahim Dankwambo of Gombe State; former Deputy Governor of Sokoto State, Muktari Shagari; the National Working Committee of the People’s Democratic Party ably led by the National Chairman, Uche Secondus, former governors, traditional rulers and others. Mr Dickson was honoured alongside other governors and prominent Nigerians. The governor in a press statement signed by his Chief Press Secretary, Francis Agbo, expressed gratitude to the management and staff of Vanguard for deeming him fit for the honour. He said the award will spur him to do more for Bayelsans and finish strong by 2020. He noted with joy that his administration has opened up the state, liberalised the political system, enthroned the culture of prudence, transparency and accountability by law and deed and above all, put the state on the path of peace and prosperity through infrastructural revolution and massive investment in security. The governor also renewed call for fiscal federalism in the country. While urging young people not to give up on the country, Mr Dickson enjoined them to always make sacrifice and take selfless decisions for the good of fatherland! In his opening remarks, the Chairman of the occasion, Ike Nwachukwu, bemoaned the present security situation in the country and called on the government to heed the call for restructuring of Nigeria and devolution of powers from the centre to the federating units. “With the lead the Nigerian military had taken regarding restructuring, it behoves Nigerians and our politicians to deliver on the restructuring of this country in order to have a true federation, in which no one is oppressed. The retired major general also called for the respect of press freedom and the rule of law. Commenting on the rule of law vis-a-vis freedom of press, he said, “It becomes absolutely imperative to protect the freedom of the press and the rule of law. “The people of our country should, henceforth, be prepared to defend that freedom; as indeed, we must obey the rule of law, with all our might; if it is actually, the desire of our people that democracy should thrive and the laws of the land respected. Other awardees include the wife of the President, Aisha Buhari; former Head of State, Abdulsalam Abubakar; Governor of Taraba State, Darius Ishiaku; Abia State Governor, Okezie Ikpeazu; Governor of Kano State, Umar Ganduje and Governor of Bauchi State, Mohammed Abubakar.